World War I stands as one of history's most senseless spasms of carnage, defying rational explanation. 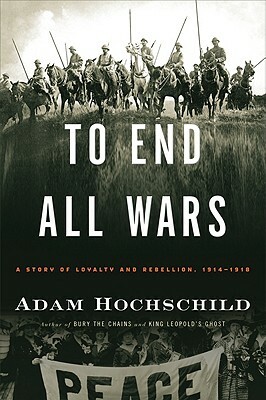 In a riveting, suspenseful narrative with haunting echoes for our own time, Adam Hochschild brings it to life as never before. He focuses on the long-ignored moral drama of the war's critics, alongside its generals and heroes. Thrown in jail for their opposition to the war were Britain's leading investigative journalist, a future winner of the Nobel Prize for Literature, and an editor who, behind bars, published a newspaper for his fellow inmates on toilet paper. These critics were sometimes intimately connected to their enemy hawks: one of Britain's most prominent women pacifist campaigners had a brother who was commander in chief on the Western Front. Two well-known sisters split so bitterly over the war that they ended up publishing newspapers that attacked each other. Today, hundreds of military cemeteries spread across the fields of northern France and Belgium contain the bodies of millions of men who died in the war to end all wars. Can we ever avoid repeating history?